The first building, which was located where the Margie Helm Library now stands, was destroyed by fire in 1929. The new building was made of Bowling Green stone. The purpose of the department was to train teachers in the Industrial subjects for elementary and secondary positions. 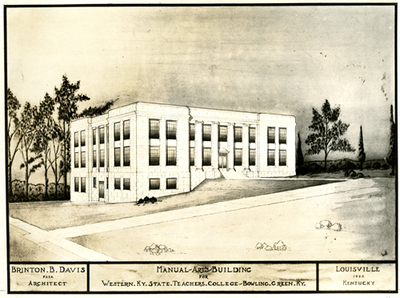 In 1975, the building housed architectural drafting, woods, machine shop, basic metal, plastics, and airbrush rendering.